The older we get, the harder it is for our bodies to regulate fluid balance. We don’t register thirst as easily and may actually limit fluid intake in the hopes of managing urinary incontinence issues. Staying well hydrated is paramount for older people, as it can help prevent much more serious issues like infections, dementia, and falls. Make sure that you’re drinking 6-8 glasses of water a day, even if you don’t feel thirsty. Over time, our sense of taste declines and foods just don’t taste as strong as they used to. To counter this, we often double or triple the amount of salt we put on our everyday dishes. 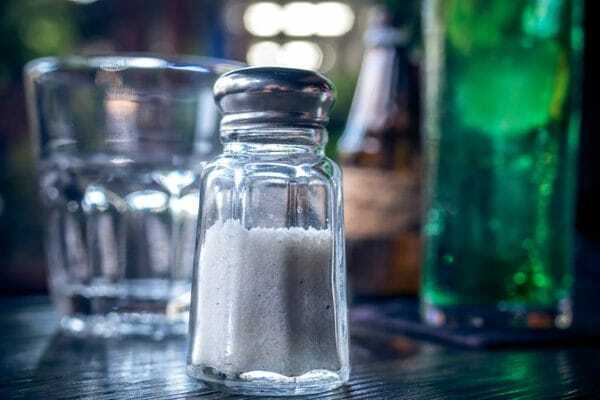 Too much sodium is linked to high blood pressure and heart disease, which also become greater risks the older we get. Be conscious of how much salt you’re adding and how much sodium is in the food you purchase. This goes double for sugar. Craving that sweetness but not being able to taste it the same way leads to over-indulging in goodies. These admittedly delicious treats usually come with dangerously high saturated fats and far more carbohydrates than we need. Try scratching that sweet itch with low-sugar fruits such as strawberries or blueberries instead. Instead of adding more salt or sugar to get the taste you’re looking for, experiment with spices. Nutmeg or cinnamon can give your treats that sweetness you desire without the added calories and carbs. Or a kick of red cayenne pepper or chili powder will satisfy your savory needs without the harmful side effects of too much table salt. It can sometimes be a challenge to physically eat the things we know we need. Hard or tough fruits, vegetables, and meats can be tough on your already sensitive teeth and gums. Instead of giving up on those nutrients, find softer options for similar benefits. Cooked vegetables, juiced fruits, and canned meats like tuna will still give you the elements you need without hurting your teeth. It’s a challenge for any age group, but paying attention to the portions you eat can have a huge impact on overall health. Being underweight or overweight both come with a myriad of other health issues. The simplest way to maintain a healthy waistline and body weight is to eat the right amount. When you eat out, pack up half your meal before you even start. That way you’re not tempted to eat more than you need plus you have lunch for tomorrow. Another significant change in our aging bodies is our slowing digestive systems. Prune juice isn’t just a joke. Without a healthy dose of fiber, older people are at an increased risk for constipation which leads to all sorts of dangerous issues like diverticulitis. Making sure you’re eating enough fresh produce high in fiber is the safest way to keep the pipes clean. Drinking at any age has been linked to serious health complications such as heart disease, mental illness, and cancers. But the older we get, the harder it is for our bodies to absorb and metabolize alcohol. Not to mention, alcohol adds to the risk of falls and adverse effects with medications. Make sure to discuss alcohol consumption with your doctor, unless you can cut it out altogether. Eating should be a social event. Family meals, coworker lunches, or brunch with a group of friends often lead to healthier eating choices. If you live alone, you may lose the will to cook and rely on easy, fast, frozen meals that are high in carbs and unhealthy fats. Try making a dinner club, taking a cooking class, or exploring your local farmers market. Eating with others helps limit over-the-top caloric consumption as well as adding a psychological benefit that then improves other aspects of health. While it’s always best to try to get the nutrients we need from our diet, sometimes we know that’s just not possible. Consider protein supplements like protein powders made from bone broth from companies like Ancient Nutrition or daily vitamins to get the iron, calcium, and other minerals we need. Trying to eat healthy while aging can be frustrating and difficult, but it doesn't need to be. By making a few smart choices and being conscious of what you’re consuming, you can still get your body everything it needs, even while it’s functioning a little differently than it used to.